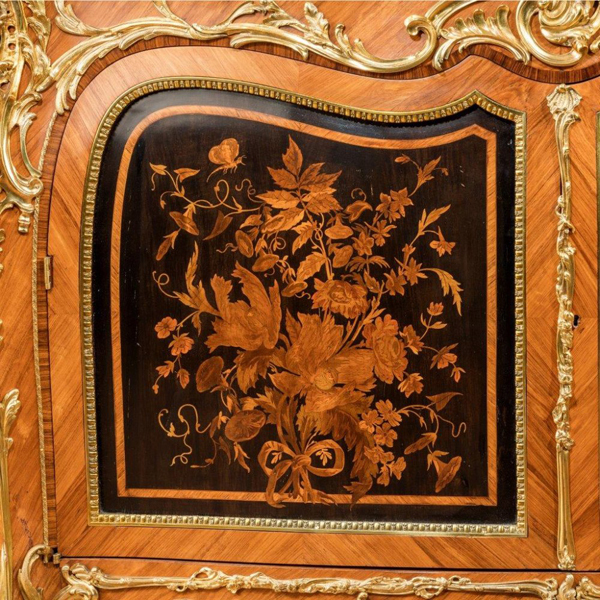 A large and magnificent marquetry side cabinet in the French taste, incorporating signed panels by Joseph Cremer, the shaped original marble top above a serpentine, bombe base with four shaped door panels of flowers on a black ground, applied with rococo-style ormolu mounts and feet, all on a cross-banded kingwood ground, signed in the panels ‘J Cremer’. 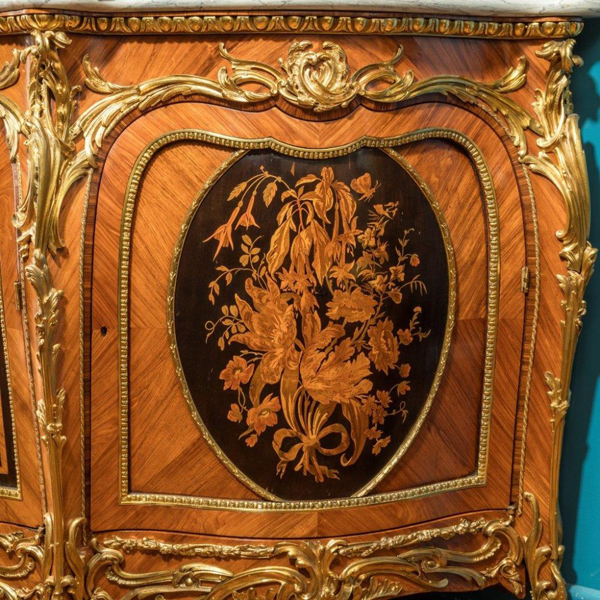 Sadly we can only wonder at the life this cabinet might have had, and conversations it may have been privy to and no doubt it has seen a lot. 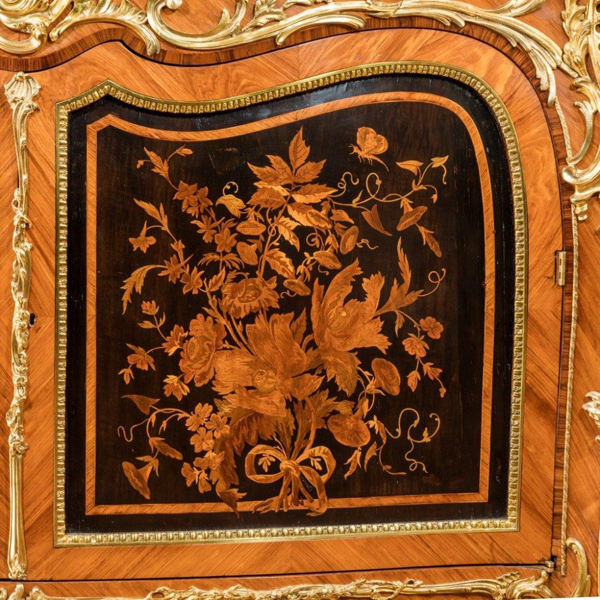 One thing that is undeniable is the calibre of home this piece has come out of…clearly someone of great importance and wealth. 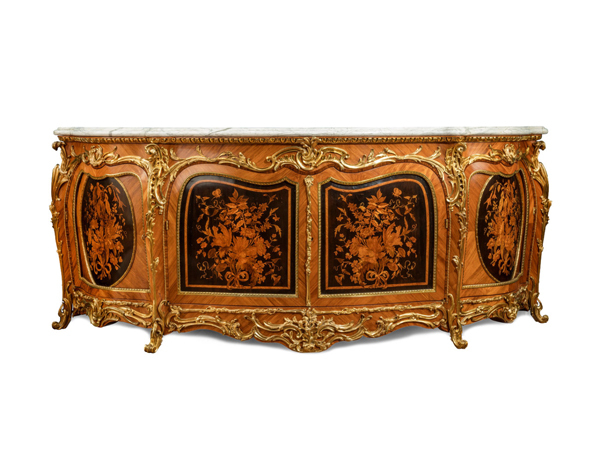 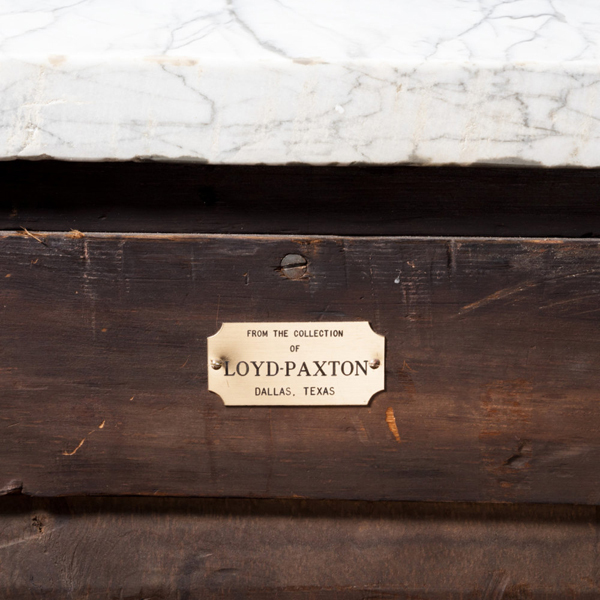 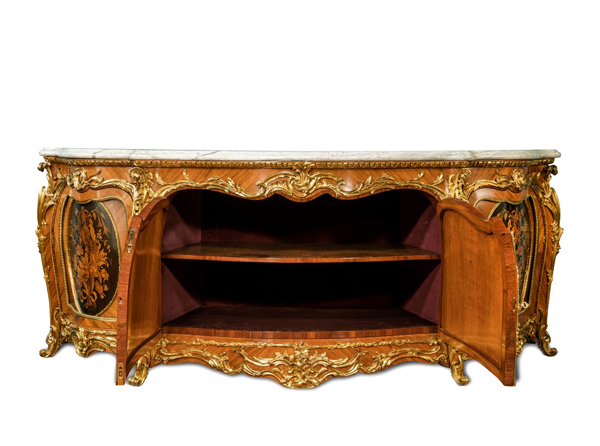 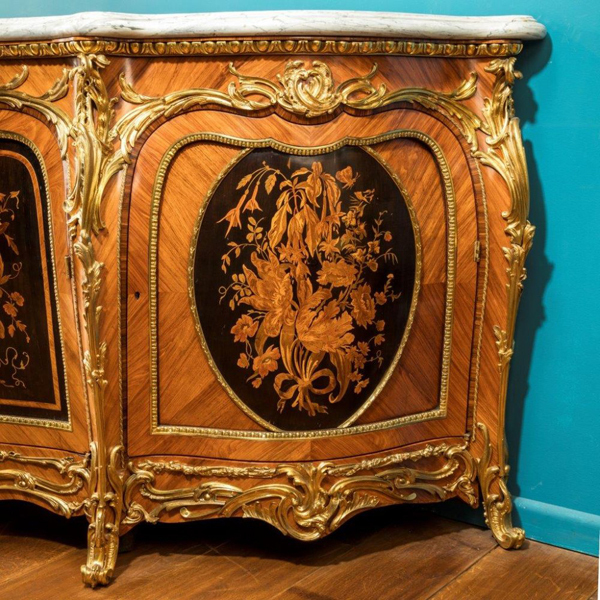 It is quite simply some of the finest quality pieces of furniture available and no detail was spared in its making, from the shaping of the marble, to the piercing of the ormolu. 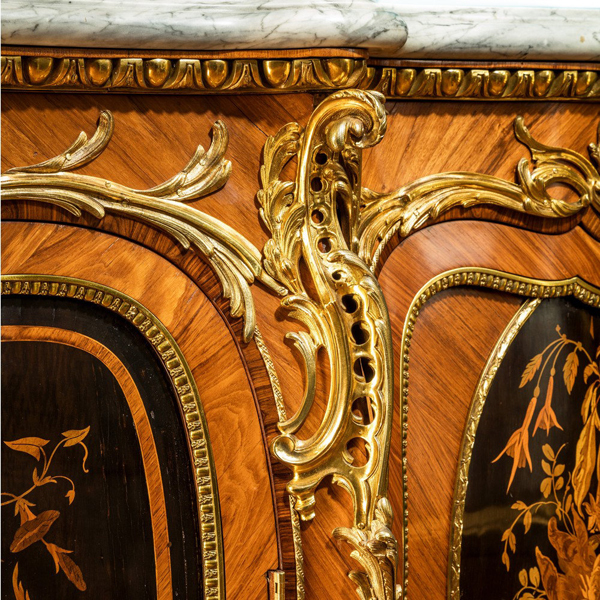 The interior of the cabinet has been thought out and executed as beautifully as the outside with bombe shaped shelves cross-banded with kingwood and the backs of the cabinet doors made from carefully selected timber. 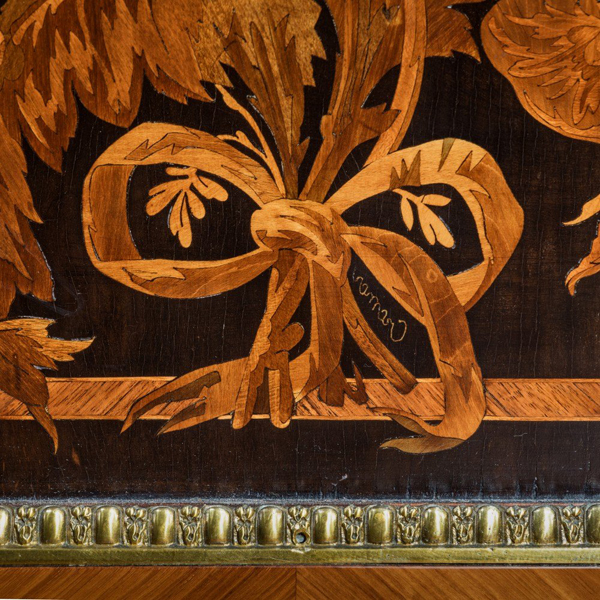 and cross-banded along the fronts for decoration. 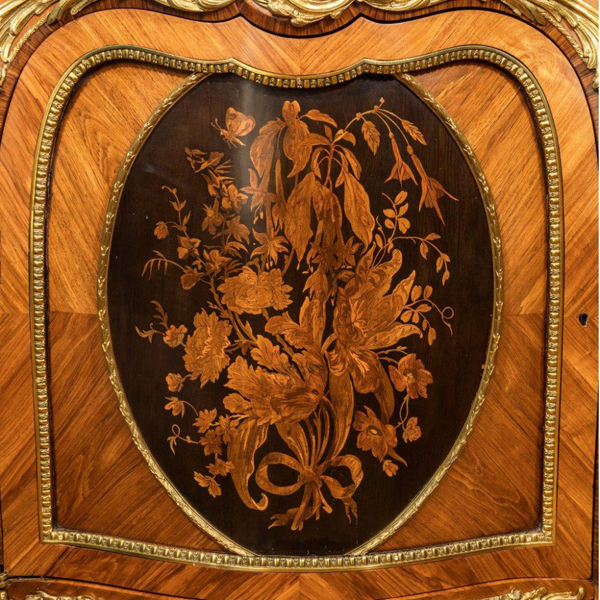 Each outer panel has been cross-banded before the finest quality marquetry, inlaid into ebony ground has been set into their centres and embellished with ormolu.